In February 1937, The United States Army Air Corp (USAAC) issued a request for proposals for a single engine, high altitude interceptor. They required the aircraft to fly at least 360mph, climb to 20,000 ft in 6 minutes, tricycle land gear with heavy armament including a cannon, water-cooled Allison engine with a General Electric turbupercharger. Bell’s early design had been with another aircraft called the Bell YFM-1 Airacuda (or Model 12). Taking some of the features of the Model12 the Bell Engineers then designed an aircraft with the Allison V-12 engine in the center of the fuselage behind the cockpit. 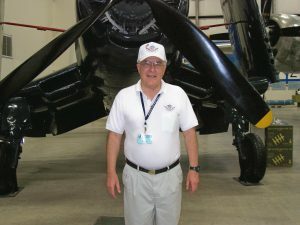 The engine drove a long shaft to the propeller. The reason for this strange configurations was so an Oldsmobile T9 cannon could be placed in front to fire through the propeller hub. This cannon was not like a “Civil War” cannon firing large cannon balls, but firing much smaller, but very lethal projectiles. This did not work in a useful manner, as the cannon was slow firing, limited ammunition and jammed frequently. The long shaft through the cockpit proved to satisfactory with virtually no problems. The cockpit had side doors rather than a sliding canopy. 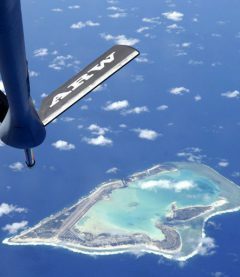 This permitted easy access in and out of the aircraft when it was on the ground, but difficult in the air in bailing out. 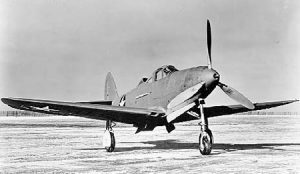 This new design was called the XP-39 and was approved by USAAC for testing. The early test results were 390 mph and climbing to 20,000 in just 5 minutes. But the performance quickly bled off at higher altitudes. The XP-39 was taken into wind tunnel testing to improve the airspeed by reducing drag. In the end the turbo-supercharger vent had to be removed and the turbo-supercharge was to housed internally and vents made for the exhaust gasses. The problem was there was no internal space with the engine in the fuselage for the turbo-supercharger. But the drag reduction engineering program increased the speed to 439 mph. Since it was impossible to internally store the turbo-supercharger, it was decided not to use thus type but to use a single-stage, single-speed supercharger This greatly reduced the aircraft’s high altitude performance. 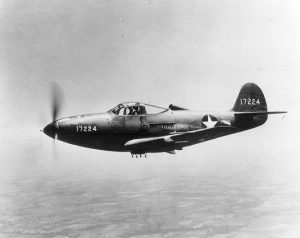 After some engineer engineering modifications such as self-sealing fuel tanks, machine guns on the wings and armor around the cockpit, The new designation was the P-39D. USAAC ordered 80 of these aircraft and were America’s’ first modern fighter aircraft, be as it was. The P-39 was unable to perform well against the Japanese Zeros because of the high altitude factor, but a fine job against land and sea targets. In Spite of the high altitude problem, the P-39 did well at lower altitudes against man Japanese aircraft have claimed 80 victories. Lt. Bill Fielder became an ace in the Pacific said that the P-39 did well against Zeros and Ki-43 (land based aircraft that were similar to the Zero) as long as the P-39 remained at lower altitudes which probably was about 15,000 feet at the maximum. This of course was because the lack of a good supercharger on the Airacobra. Brooklyn Bum – Lewis Air Legends, San Antonio, Texas. Whistlin Britches – Air Zoo, Kalamazoo, Michigan. The Cobra was actually a success in WW2 since no other American fighter had as many aces that scored more kills among the top 10 Allied aces in the war. On the Eastern front, the air combat was at the best level for the Cobra. It’s modest range was not a drawback there either, like it was in the Pacific. The top Allied aces were all Russian. They had up to 7 combat missions 1 day instead of maybe just 1 mission in 7 days or more, elsewhere. The VVS Cobra had access to superior guns. The US guns that the Cobra came with were unreliable except for the 12.7 mm [0.50 Cal.] Browning guns. It was next to impossible to keep sites on a target with the cannon button on top of the stick and a separate trigger for MGs. Many VVS aces had this modified to get these varied salvo ballistics to converge and obliterate the same target plane, with one trigger pull. Russian guns of 12.7, 20, and 23 mm were also utilized by the Cobra to good effect. What other Western Allied fighter had a cannon firing through the hub of the spinner? The P-63A-9 had 58 rounds of 37 mm ammo! That is unmatched in single engine fighters of WW2. P-63 Cobras were indeed used on both fronts by the Russians against not just the Japanese but also against the Luftwaffe. Officially, they were recorded as P-39s when in violation of Lend-Lease terms. This also bears on the high scores attained by these aces. Thanks for your comments. Most educational.